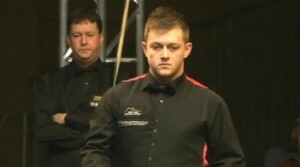 It has been a strong start to the season so far for Paul Hunter Classic winner Mark Allen and recently I caught up with Northern Ireland’s number one player ahead of this week’s Shanghai Masters, to discuss a range of subjects as he gave a typically honest assessment on matters past and present. Click below for part one of our chat, as we discuss his start to the season, look back at the last campaign, his decision to leave On Q Promotions earlier this summer and also consider how his early exposure to televised tournaments helped him to rise up the rankings as quickly as he did. 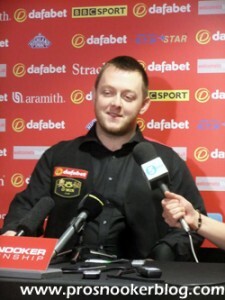 Mark Allen: Yeah, I don’t really know where it has come from to be honest because over the summer as you know I don’t really practice too hard. I play a lot of golf and probably got found out in Australia. That’s pretty much the way I expected the season to start. I’ve been practising hard since Australia and got some good results. I don’t feel that my form is quite there yet but I have been putting the work in so hopefully it will come soon enough. PSB: And obviously it was good to win in Germany after what happened in Latvia as well [losing the final from 3-0 up against Mark Selby], you must have been pleased with that? MA: Yeah I was, obviously to bounce back after losing the way I did, although I didn’t really miss many clear cut chances to win the match, from 3-0 you do expect to close it out and I didn’t do it. 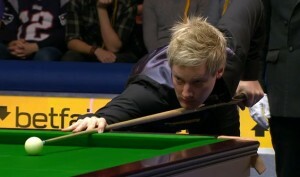 So to bounce back the way I did at the Paul Hunter Classic is very pleasing. MA: I think the qualifying for Wuxi was like the third or fourth week in May and that is pretty early for me. I like to play a bit of golf, relax and take a little bit of time off because it is a long season and it becomes more important to pick and choose which events to enter and to miss. I think to be honest I shouldn’t really have gone to Australia. I didn’t put any work in and going there I hadn’t practised but for about two days since the World Championship so I probably got what I deserved there. Since then I have been practising flat out and it is starting to pay off. PSB: Are you a player who needs that practice? MA: Definitely. You think you can get away with it but whenever you are playing at the top level in any sport, it will find you out and that is exactly what happened with me in Australia. Fergal [O’Brien] played pretty solid and made it pretty tough for me. I think he knew after a few frames that even though I got ahead early, he knew I wasn’t quite at my best. I think I got found out over distance. Whether it was a safety or a long pot over distances, that’s where I really get found out when I’m not practising. In the balls I can sort of get away with it, I think any sort of top player could, but you do really get found out when you are playing a top match-player like Fergal and your safety is getting put under it and you need to pot a good long ball to get in. MA: Yeah, unless there is a drastic change in the calendar, that will probably be my plan every year. Unless they bring in a big massive money event after the World Championship, which I don’t see happening, then it will probably be the case for a long time to come because as I said before, it is a long season and a good break for me after the World Championship is paramount to recharge the batteries. PSB: Have you had a situation in the past where you have got towards the end of the season, say around the Players Championship, China and felt it a bit? MA: Physically, I’m not in the best shape anyway so it doesn’t really affect me that way! I think it’s more mentally than anything else, whenever you are playing long, tough matches throughout the whole season, especially if you are competing in events, it gets longer and longer. Obviously if you are losing in the first round of tournaments it doesn’t really make any difference, but I think it’s part of the reason why I didn’t go to Beijing this year. I had it in the back of my mind that regardless of how well I did in the Players Championship, that I was going to pull out of that. I think World Snooker have caught on this year and changed the cut-off date to after the China Open which makes sense now, though it’s a bit disappointing because it would have been a chance to miss another event if possible, but we will just see when the time comes if I am safe in the top 16, then I will probably miss it again. I think that even though I didn’t get a good run in Sheffield, my form was pretty good. I played a good match against Neil Robertson and come up against a steam train in the last session, but I felt that my form was good and part of that was down to not going to China to be honest. I was able to spend another ten days at home and prepare properly for Sheffield, really get my head down and just get ready for the longer matches and not have to travel to China and back. MA: Yeah that’s exactly how I felt to be honest. I felt that the first two sessions I was in charge and completely in control but it was weird because the scoreline said otherwise, I wasn’t even level! It was sort of hard to get my head around being 9-7 down after those two sessions because one or two shots here or there and I felt that I could have been 10-6 up and at that score I would have fancied going on and doing the job. But being 9-7 down, you can’t afford too many mistakes against someone like Neil and obviously the way he started that session was pretty devastating and I didn’t have much time to get back into it. I went into it feeling positive, I had two good sessions, I was ready to go out there and do the same again. I had good memories of beating [Ronnie] O’Sullivan from 9-7 down, I had that in the back of my mind but just never had the chance to. PSB: Just looking back on last season as a whole, how did you feel about it? MA: It was pretty disappointing if I’m being honest. Even though my ranking position didn’t change much, I just never really felt in control of my game. 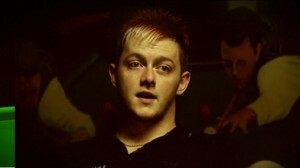 I had a lot of things in the early part of last season on my mind and I think that really affected my snooker. I made the decision to part company with On Q Promotions and that had been on my mind for a few months. Everything was completely amicable and there was no fall out between myself and Paul Mount, it was just one of those things that I felt that I needed to do. I remember playing a match in the Welsh Open against Sydney Wilson in the first round and I really should have lost, I was 3-0 down and it was an embarrassment how badly I was playing. After that match when I managed to scrape through I ended up just having to ring Paul and say that we needed to talk. It had been on my mind and it was really starting to affect the way that I was playing. I think it was a bit of a relief to get it off my chest, even though I didn’t go on and do well, it sort of freed me up a little bit and I was able to not worry about things. It was a big decision for me because Paul had been very good to me over the last few years and I still don’t really know why I’ve done it deep down, but I just felt like I needed to give things a go on my own for a while. PSB: I was going to mention that because obviously you have worked with Terry Griffiths for a number of years and now you won’t have that due to leaving On Q, how is that going to affect you? MA: As much as I had a good relationship with Paul and Sarah themselves, the biggest thing that I am going to miss is obviously working with Terry. 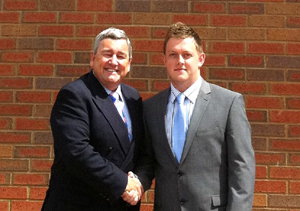 All my professional career bar the very first season I have worked closely with Terry. I’ll definitely not rule out working with him again in the future and I don’t think that he would rule out working with me again in the future, but obviously with the contract he has with On Q and those players, it is not possible for us to work together at the minute. But we are still very close, Terry is more than a coach to me, we can still talk on the phone but working on the table is just out of the window at the minute. PSB: When did you first work with him, at 110sport at the very beginning I guess? MA: Yeah I joined 110 at the start of my second professional season and started working with Terry then, I think it was 2005 or 2006 and we have worked closely ever since. Over the last lot of years we have got very close, I see him as more of a friend now than I do as a coach, obviously he is very good to have on the table too. I think the last few years in particular we have been working on more things away the table about how to approach things a bit better, get mentally prepared that way, instead of all of the work on the table. But I think, as he does with all of his players I’m sure, he has given me notes along the way and I have them all on email and I have always kept going over and over them, so even though I am not working with him now, I’ll still be able to look at those emails and remember what we did in those sessions. So as much as we are not together, we may as well be together (laughs), because everything that he has taught me is well remembered. PSB: And just the last thing on the World Championship, did you watch much after you were knocked out? 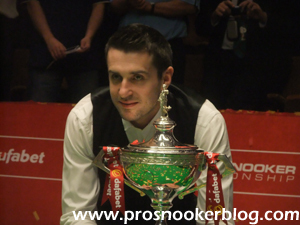 What did you make of Mark Selby ultimately coming out as the winner? MA: To be honest I was surprised, especially with Ronnie O’Sullivan’s record in major finals, he doesn’t lose too many and he had never lost a final in Sheffield, so it was surprising. But I think that Selby has just got that little bit of a knack against Ronnie and I don’t think that Ronnie particularly likes playing him. 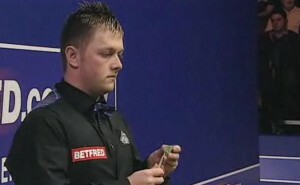 I think he is probably one of the few players that could beat Ronnie over that distance and he proved it from 10-5 behind. I don’t think that anyone in their right mind would have backed Selby at that stage, but he showed what he was capable of there and why he is world number one. As the match went on, he did the same against Robertson from what I saw in the semi-finals, the more the match went on the stronger he got. I don’t think that Ronnie fell apart, but I don’t think he had anything left after he had lost such a big lead and the last few frames were just a matter of Selby holding himself together because I thought that there was only one winner. I think for the game it’s great because after what happened the year before with Ronnie not playing all season and then coming back and winning, it made a mockery of the rest of us if I am being honest. It was really good to see Selby going on to beat him because you have to treat the game with the respect that it deserves, which is something that I haven’t done in the past and it has found me out and it found Ronnie out in that final too. PSB: You mention players beating Ronnie over that sort of distance, you were able to beat him over the best of 25 back in 2009, how proud of you were that result at the time? MA: At the time it was probably my biggest win and even now it is still up there as one of my biggest wins. I think it shows that if you play your own game and play well, you are capable of beating anyone and that includes Ronnie. I think the problem that players have is that there is a big percentage of them who are beaten before they start when they play Ronnie. That could be a mental thing because of the way that he is capable of playing, or it could be mental scars if you have played him a lot of times over the years. But I think for a lot of the younger ones like myself, Judd [Trump], even Selby, Robertson and people like that, they don’t quite have those battle scars like a lot of the other ones do like say [John] Higgins or [Mark] Williams. 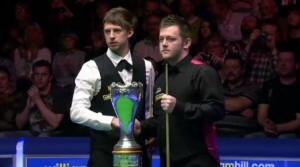 They are not scared of beating Ronnie any more, I think that is really showing. PSB: So onto this season we have Shanghai and the big events coming up. Have you got any targets, beyond the obvious of winning titles? MA: If I am being honest I am not much of a target setter, I treat every tournament the same as every other tournament. The only difference in practice is that I change the length of my matches depending on the tournament I am getting ready for. Other than that I do nothing different, I work on the same things, so as much as everyone keeps putting importance on the World Championship, the UK, the Masters and things like that, I don’t really do anything different. If I can go out and perform at the highest level that I have, then I am sure that tournament wins will come along. Whether that is in PTCs or major events, only time will tell. PSB: I know you said after winning in Germany that you don’t really know why you keep winning European Tour events. It is surprising really because I have always had you down in my head as a big occasion player, because when you came through you always did well in the Masters, the UK and the World and now you are winning the European Tour events. It’s strange! MA: Yeah it’s strange for me because I see myself as a player that is more suited to longer distance, I feel like I can take my time to settle into a match. I honestly can’t put my finger on why. Maybe short bursts and performing for a couple of days is maybe the way forward for me (laughs), but as I say, I do nothing different preparing for a PTC, it is purely coincidental. But it is up to me now to keep bringing those results forward into the main events, something that I haven’t really done. Any time that I can get off to a good start in the season it is a bit of a bonus because of how little practice I do over the summer. If I can start the season well, it is a bit of a shock really if anything else and I have done that this year, I have got off to a good start, I am already in the Players Championship Grand Finals and the Champion of Champions. Those are a few things already crossed off of what you have to do at the start of the season and now I just have to go out there and do my best in the big events. PSB: Just looking back early on in your career, you had such a good junior and amateur career, you won the World Amateur Championship and the European Championship. You always looked good against the top players from early on, obviously you had the Northern Ireland Trophy run when it was an invitational event and you beat Steve Davis and John Higgins, how important was that in giving you the belief that you could mix it with the top players? MA: It was strange for me because my very first tournament was an invitation live on TV. There are not many newcomers to the tour that get that experience, even though I won against Steve Davis and John Higgins before losing to Stephen Hendry, I think even if I had lost first round, that experience so early on in my career was invaluable. 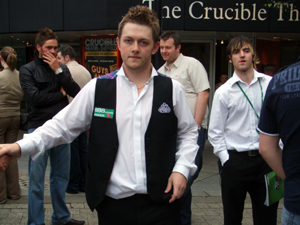 In that first season I qualified for quite a few events and managed to get myself on TV quite a few times and then obviously the following year getting to the Crucible, I had sort of already tasted what it would be like on TV and knew what to expect. It’s probably a big thing for me to say but at the time I didn’t think much of the invitation because I was a local player so they sort of had to give me a wildcard because I was local, but I don’t quite know where I would be today if I didn’t get that experience early on. MA: Yeah that’s right at the end of my third season. 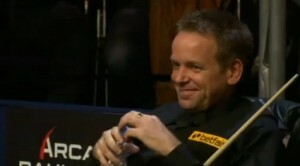 It was actually my friend Joe [Swail] losing in Sheffield to give me the spot, it was a bittersweet way to get there but I am glad that it did happen the way it did because If I hadn’t got into the top 16, even after only three seasons, it would have been tough to take because I had three very good years and obviously losing 10-9 to Hendry at the Crucible to pretty much guarantee the top 16 place would have been hard to take. I have always dealt with adversity pretty well anyway I think, any downs that I have had in the game or off the table, I have dealt with them pretty well and come back stronger but I’m glad that wasn’t one of the ones that I had to bounce back from. MA: Yeah, I don’t think that there have been many, I don’t think that there have been many since that either, it might only be a handful of players that have ever done it. So I am in good company and it is something that I will always look back on and be proud of, but obviously with the changes in the game the top 16 isn’t quite as important as it used to be. PSB: And when you made your début at the Crucible in 2007, I was at that match and was really impressed with just how comfortable you looked out there, perhaps that went back to that Northern Ireland Trophy approach, but did you feel that confident? MA: I felt confident, strangely even though Ken Doherty was provisionally ranked number two in the rankings at the time, it was a draw that I didn’t mind. I didn’t see Doherty as one of the people that would outscore you like a Ronnie or a Higgins would have done at that time. I think it was a good draw because I settled into the match early and I did think that I would get chances and it was just a matter of being patient and I sort of lost my way a bit I remember in the second session, I think I lost the lead from 6-3 to 6-6, but I knew I had plenty still to give and that I was always going to get chances. It was just a matter of holding out, waiting for those chances and taking them. 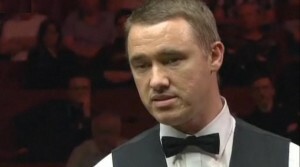 I had already played earlier in the season against David Gray and Steve Davis at the UK Championship. I beat Gray 9-6 and lost 9-7 to Davis, I think that was the year he got to the final and lost against Ding, but to have the experience against the top players, Gray was in the top 16 at the time, I knew that I had nothing to fear when it came to Ken. MA: Yeah I think he made a 135 to go 7-7 but I think the last three frames I won pretty comfortably. PSB: Yes! 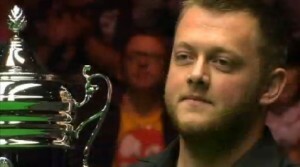 Moving on, obviously you have reached the semi-finals of the big three events since then, the final of the UK Championship, how happy are you with what you have achieved in the game so far? Ten years ago would you have expected to have won more by now or not? MA: I don’t really know, it’s hard to say because when you first turn professional, obviously you dream of winning tournaments, but you don’t really know that you are going to do it until you do it. You come on the tour at whatever I was, 18 or 19, you don’t think you are going to be one of the top ten players and competing for all of these titles, until it actually happens it is hard to believe that. You might always have the inner belief but until you do it, it is a different matter. I still am yet to do it in the major events but I know that because I have won seven tournaments now, unfortunately four of them are PTCs and one more invitation event, so as much as there are only two major ranking titles there, I know that I can do it now on the biggest stage against the best players. Every time I have won an event I have beaten the best players to do it, so I am not getting too down on myself. I would have liked to have won the UK, the Worlds or a Masters, but I know that it is in there and it is just a matter of putting the work in on the practice table and it will definitely come out. 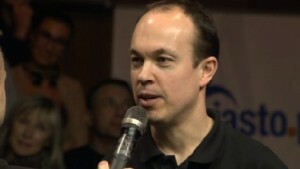 PSB: Do you think that there is anything in particular that you need to work on to take that next step and win a major? Is it mental, is it physical? 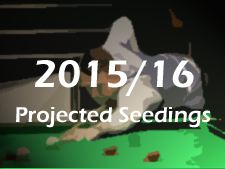 PSB: You have lost to Selby a few times in deciders there! MA: Yeah I lost to Selby two years in a row 6-5, I lost to Robertson 6-5 and I lost to Marco Fu in the semis 6-4 from 4-1 up. But in those matches, I remember at 5-5 against Selby I had him snookered and he fluked out of a snooker and cleared up to win the match, against Robertson he fluked one out of a snooker and made a hundred to win the match and against Fu I was in the balls at 4-1 up, I was flying at the time, probably the best I have played in any Masters, then I got a kick on the black and didn’t see a shot for the rest of the match until I was 5-4 down and 55 behind, so I feel like I have been a bit unfortunate the way that those matches went. But I know that looking back at the end of your career, people aren’t going to remember who fluked what or who did what, they are going to remember who won the tournaments. I just need to keep on putting in the work that I am doing, work a little more on the mental side and just get that little bit of luck when I need to, I don’t think that I am that far away from winning one of the big three. PSB: Do you see an opportunity now in a way because you have your Higgins and Williams’ coming up to 40 and… I was looking at it and it surprised me a little bit to see that you are still the third youngest player inside the top 16, so there is an opportunity there I guess? MA: I do think there is. A few years ago it looked like the top 16 was really going to change but it hasn’t really turned out that way and the likes of Higgins and Williams and people like that are still there. It is weird saying it but it shows that the game hasn’t really gone forward if I am being honest. The strength in depth I think has got much better, I think now the first round matches against the lower ranked professionals are very tough. I think if they had brought in the current system a few years back then they might as well have given byes to the top players at that time, but now it’s not like that and the players at the bottom of the tour are more than capable of beating anyone. I think the strength in depth has really gone up but I think the standard at the top hasn’t progressed as much as the rest of the game has I think. And that’s probably myself included. MA: I think if you look at the late 1990’s, early 2000’s, when you had the likes of Paul Hunter, Mark Williams, John Higgins, Ronnie O’Sullivan, even Hendry at the time was still at the top, forgive me if I am missing any big names, but you had all those players and every single one of them was playing at the top of their game. You don’t quite have that at the minute bar Ding last season, Robertson obviously made a lot of centuries last year and Selby who is very consistent. Bar those three, there’s nobody really that stands out in the game who is capable of dominating. You wouldn’t have been surprised back in 2000 if any of those players that I mentioned went on and won five or six tournaments in a row. They were that good. I think Selby, as much as he is world number one and world champion, you would never take any of that away, but I think he has only won three or four ranking events, which is very surprising for someone who has already won the UK, the Masters three times and the World. It’s strange saying that. You look at Robertson, for all his centuries, he did lose out in a few finals last season and Ding, obviously had his best season that he has ever had, but still didn’t compete in the big three events, which is strange. So I don’t know if there is still something missing. I think that is something that gives the other players in the game, particularly myself, the confidence that a big win is around the corner, because I don’t really see that there are that many players that you have to beat. MA: Yeah that’s right, you have got [Robert] Milkins and Mark Davis who have been journeyman, I think it’s safe to say that they wouldn’t think bad of me for saying that, but they have been journeyman professionals and now they are getting rewarded for all their work that they have put in. It is surprising that there haven’t been more young ones to come through, but it just shows how good the ones we have mentioned are. If they are keeping the younger ones out they are obviously doing a better job than they are. It would be nice now, while you are saying that I am the third youngest in the top 16, to push on now and get ahead of a few more. It seems like I have been saying this for the last few years, but all I can keep doing is putting the work in on the practice table and hopefully the results will come. If you keep winning tournaments, even if they are small ones like PTCs, then the rankings are going to take care of themselves. PSB: Do you see any young up and coming players who have impressed you at all? MA: I probably sound bad saying this but there really hasn’t been. 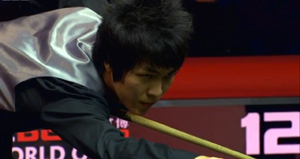 Thepchaiya Un-Nooh looks like someone who could do really do damage, he is very aggressive, can pot from everywhere really, but again he hasn’t really done much and he has been on the tour for a few years now. 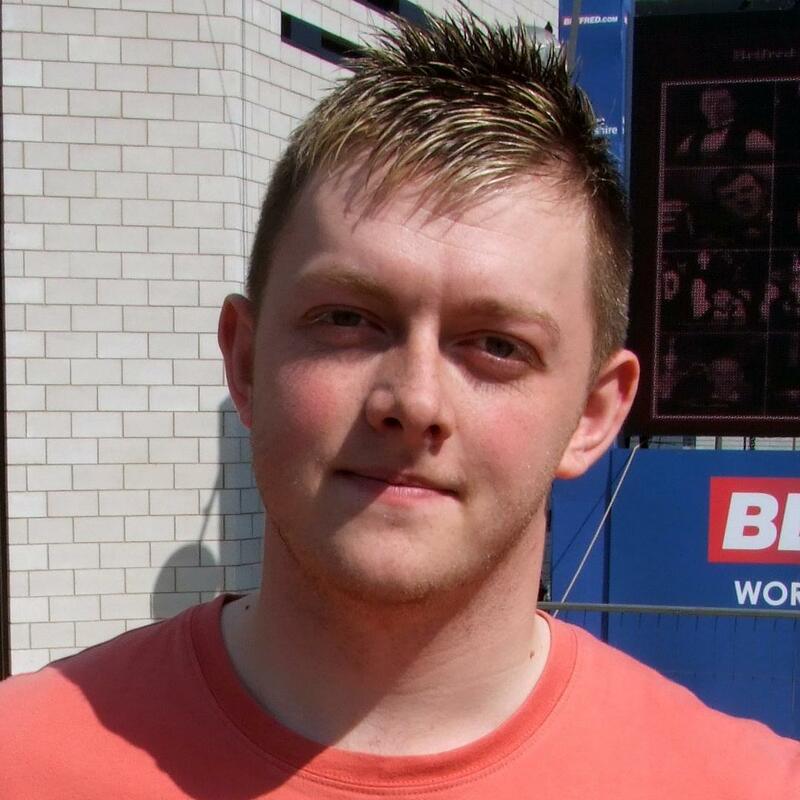 People like Jack Lisowski, Luca Brecel, Michael White, Jamie Jones, people that pundits were expecting big things from haven’t quite developed yet, and I know they are all still very young, but I think there is a big opportunity for those players to really push on and get to the big heights in the game and so far they haven’t done it. But they would still be the ones on my list, the ones to watch out for. PSB: Is there anyone in Northern Ireland on the junior scene that we should be keeping an eye on? MA: I would look pretty closely at the junior snooker in Northern Ireland because up until last month all the junior snooker was played in the club that I play at, it was easy for me to keep and eye on it and my step-son Robbie McGuigan now plays snooker and he plays in those tournaments and I keep an even closer eye on that again and without being ridiculously biased, he’s only 10 but my step-son is probably as big a prospect as anyone in junior snooker in Northern Ireland. The standard really isn’t very good and he is able to compete at the under-16, under-19 level and he is only 10. He is just back from the Home Internationals in Leeds and he represented Northern Ireland there and although he didn’t win any matches, he competed in pretty much every one of them against people much older than him. So I think he has a bright future if he sticks at it, has the right attitude and gets in touch with the right coach! (laughs). MA: Yeah that’s right, I think they went to watch Joe [Swail] against [Peter] Ebdon in the final qualifying round. I think those guys were just up the road in Leeds for the Home Internationals. I think It shows you, Patrick Wallace is still playing the amateur game here and he is as good as anyone we have got here, it shows that Northern Irish snooker has missed a generation. Since I came through really, there has been no-one since Swail, I think that pretty much says it all really. It has missed a generation and something that myself and Joe Swail are working on at the minute is a junior programme across Northern Ireland to try to get more kids involved. It’s ongoing with the bigwigs at Stormont and all the politicians to see if we can get funding for it, but that is something we are working on because I think we look at it and we see there is really nothing here for the juniors at the minute. It’s a shame because I think it is not just Northern Ireland that has been affected, all of the UK isn’t really supplying the juniors that it used to. Tournaments that there used to be 100 players in there are maybe 20 now, I think that shows how much it has gone backwards. MA: David Morris looked like he could do stuff when he first came on the tour, I remember I used to play a lot of junior stuff against Davey and he was one that I thought would do really, really well and for one reason or another, he is hanging about on the tour. 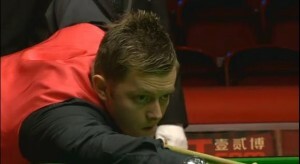 I think he actually might have dropped off and got back on through the Q School. So I don’t know, there’s just something not quite there at the minute in the whole of the UK. I think part of that has to be that there is not as much snooker on TV now, domestically on the BBC as there used to be. Most of the tournaments now are abroad and maybe at funny hours of the day that people can’t view. I don’t know if that has had an effect or if it is just the recession or something that happens in a generation, but it definitely seems to be hurting snooker in the UK at the minute. PSB: Obviously the tour has changed a lot over the last five years or so and you got yourself into a bit of trouble almost three years ago now at the UK Championship. Three years on have you changed your mind at all? PSB: It’s funny how things work out! MA: Yeah it is. As much as there is added prize money to the tour, the expenditure has probably tripled. I would be the first to admit that I’ve been safely in the top 16 now for, this is my seventh season and I am far from being financially secure. If anything I have struggled in the last few years financially, it’s part of the reason why I left On Q. It’s not all it is cracked up to be if I am being brutally honest but obviously if you can compete in the main events and really get to the later stages in them, it does benefit you that the money has gone up dramatically in the World Championship, the UK Championship, the International Championship, the Masters, all of the big events. But you can still have a good season without doing well in those and you are not getting rewarded financially. You need to be lucky to peak at the right tournaments to be financially well off. It’s a bit disappointing that way because you can look at a ranking list and it can be a bit deceiving because someone could be higher up because they have had a good run at the Worlds and there is someone maybe lower who has won a couple of events and happened to lose first round at the Worlds and things like that, so it is a bit deceptive and with not all monies being added to the money list. It is very, very deceiving the list to look at, unless you really know what you are talking about. PSB: You may have seen that I did the interview with Neil Robertson last month and he said the same thing in terms of preferring the points list to the money list, I don’t know if you have a view on that? MA: I think so, obviously I remember [Stephen] Hendry when he regained the number 1 spot in the mid-2000’s, he said I don’t want to be consistent, I want to be a consistent winner and I remember that was a great quote. But at the same time he would have been very proud at getting the number one spot back because of his consistency. At the minute consistency isn’t being rewarded. In the game with 130-odd professionals that there are now, knowing how hard the game is, I don’t think that consistency is a bad thing. If are able to compete consistently against the best players, I don’t think that is a bad thing at all, but at the minute Hearn’s system is all about winning. MA: I am surprised to hear that because obviously he has done well in the big money events and made a lot of money over the last few years. 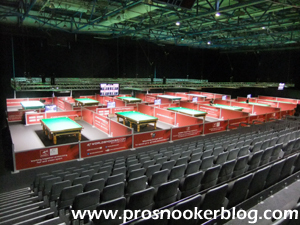 PSB: Going back to the European Tour events, now that you have had such a good start to those events and qualified for the Finals, does that give you scope to skip a few of the remaining events? MA: Yeah, I’m not going to play in Bulgaria, I hadn’t planned on playing in Bulgaria regardless because I am going on a stag do on that weekend. It depends on where I am in the rankings if I feel I’ll enter any more PTCs, I might not play any more. MA: Yeah exactly. If I am being honest I am not even that bothered about it, I’ve seen the list that you released last night, the provisional end of year list and I am still 9 or 10 with the Haikou money off so I am not too bothered. There is plenty of money available. I will probably not go to India, it is just up to me. I know that I am a good enough player that I can miss a few events, whether they are majors or PTCs and still be fine in the rankings. I am fed up really of looking at the rankings and worrying about where I need to be, I just need to get out there and play and I know that I am capable of winning a tournament or two a season. I am going to compete in some of them, others that I don’t win and that will take care of itself. MA: Yeah exactly, I sort of went there for the sake of it, I would be guaranteed a few quid and I thought if I go, I could do with a couple of grand and I went there for all of the wrong reasons and got beat first round and flew home the next day! PSB: What is the place like where it is held? MA: It’s not bad, there’s not a lot there. There is nothing bad about it but I think it could do with being somewhere a bit busier, like Sydney or Melbourne or something, I’m sure that would be better but obviously the contract that World Snooker have is that it will be held in Bendigo for another few years yet. The only thing that surprised me with the new contract is that they haven’t upped the money because obviously one of the first tournaments that Mark Selby is going to be world champion at, he didn’t go to. I think that pretty much says what you need to know about Australia and the defending champion didn’t go. I think things like that are going to happen because it is a long, long way to go for not a lot of money. If you were to win the tournament don’t get me wrong, it’s great, but anything less than a tournament win and financially it’s not all it’s cracked up to be. I think it is very poor, considering how good a job Hearn has done at bringing all the new money in and increasing the prizes, especially to the winners because the winners prize money went up dramatically in a lot of tournaments. For him to let something like that go in Australia is surprising to say the least. It is what it is, I don’t think that I will be back next year. It’s a long, long way to go and I think it is a bit early for me in the season. If I am being honest I would rather practice for a couple of weeks after the World Championship and play Wuxi and then take a break after Wuxi. I think I will probably do that next year. I have been trying to try new things with the calendar, the last few years I have been trying to find what works and I still haven’t found it yet, but I am still working, but I think this year that might be an option, go on holiday or something after Wuxi finishes. A couple of other tournaments that I wouldn’t mind missing are maybe India and the China Open before the Worlds again. I felt great going into Sheffield this year, whether it was mentally because I didn’t have to go to China again or what but I felt great going into it and I know that Barry Hawkins felt exactly the same. Obviously he won the Players Championship and he could afford not to go to China, but I know that speaking to him recently, he is definitely thinking about doing it again and he felt that he had loads left for Sheffield. Obviously the last few years there has been talk about burn out. I’m not 100% sure if I sign up to it, I have at times felt a bit tired but I think that’s partly down to me being overweight and a bit lazy, not playing too much snooker! But if some players do feel it, then missing China is definitely an option for them. PSB: On a completely different note, having seen you play a lot, one thing I notice is that you often have a bit of banter with the opponent, chats, jokes and that sort of thing. Does that come naturally to you, have you always done that? MA: Yeah, I think obviously there are some matches where you are not feeling it but I think all in all you have to go out there and enjoy it and you have to remember that people pay good money to come and watch and they deserve a bit more than just potting balls and walking back out. I think I give a good account of myself that way and I do like to enjoy myself, whether that is by trying trick shots or whatever at the end of a frame or even having a joke with the ref or an opponent, I think it is something that a lot of players could learn from. PSB: I’ll be honest, when I was watching you play Hendry that year at the Crucible, I was a big Hendry fan and I wanted him to win, but after that I liked watching you so every year I booked tickets to watch you afterwards, so it does obviously attract people. MA: Yeah I think as I say, it’s not all about winning. Some players ( naming no names in case I get fined), for some players it is all about winning and that’s not what I play snooker for. As much as I want to win and to earn loads of money and make sure myself and my family are secure, it is not all about that. I want to go out there and have fun. How many people are lucky enough to say that they enjoy what they get paid to do. I am one of the fortunate ones who can say that, so I like to go out there and show it. There are people who I have played against and they look like someone has just died, you feel just hitting them and saying will you wake up and have some fun, I don’t get it at all. There was a match in the qualifiers for Shanghai a couple of weeks ago and I think it took nearly seven hours to play a best of nine and it didn’t even go to a decider. That there if someone has paid tickets to go in, even if you got free entry you didn’t get value for money. PSB: No it wasn’t! I only went on the last day thankfully! MA: How can anyone either watching or even playing in that match enjoy it? I don’t understand it and there are more than just those two, there are plenty of people in the game who do what they need to do to win, no matter how long it takes and I’m not about that. There are certain shots in a match that crop up and you think this takes a bit of time, but all in all there is no reason to really be dwelling on shots, you need to get on with it and try to entertain as well. MA: That’s what I mean, it was just getting a bit slow so I thought I would open the reds up! PSB: Going back to the banter point, how hard is it to have close friends on the tour, obviously you are close to people like Joe and Fergal, but how difficult is it to have that when they are also professional rivals? MA: I find it not too bad because I can zone in and zone out. People like Joe obviously I have known for a long time and I am very friendly with, maybe it is a bit different, even someone like Fergal who I practice with regularly, I find that a bit different, but other than that I am alright. I am friends with pretty much everyone on the tour so I can’t afford to have too many friends on the table. I think most of the people that I am friends with, at the end of the day if we are really friends we can go out there and hammer each other on the table and then we will go for a beer after. That’s when you know that you are really a good friend and there are plenty of people on the tour that I can do that with and anyone that I couldn’t do that with, they are not a proper friend at the end of the day. MA: Yeah that’s the way it should be. I was gutted, losing the title and the way it happened too going in-off, it wasn’t a great way to lose, but at the end of the day it is a snooker match. I had fun out there, it just didn’t go my way on that day and it’s not Shaun’s fault. We had dinner the night before, we had dinner after we left. That’s the way it should be. I remember Hendry saying that he didn’t like friends and all that and each to their own, but myself and Shaun are great friends off the table but during that match on the table we both wanted to beat the other person, we are not going to try any harder or go any easier no matter who it is. You go out there and you want to try and win and then be friends afterwards. I do struggle a little bit with people that I practice with to be honest and it’s part of the reason why I don’t really travel a lot to practice. 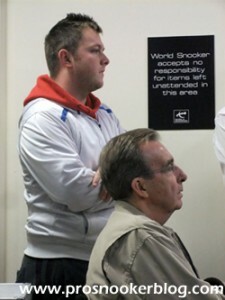 I have always struggled when I have played Swail or Fergal, people like that. I do struggle then when I go and play them in tournaments. I know it hasn’t happened too often but it is a strange approach for me so if I went around and started practising with lots of different players then I’d be too worried that might happen again and then there would be too many people, so I am quite happy being in Northern Ireland and practising with Joe or Fergal and I know that every now and again we are going to come across each other and we are just going to have to deal with it. PSB: So do you do a lot of solo practice then or just with those two? MA: Yeah I do a lot on my own and then I’m quite lucky that Fergal will always come up and play me once or twice a week and then I have got Joe maybe once or twice a week if he’s not in Manchester. I’ve got a couple of guys in the club that I am from who are pretty good amateurs, one who has been on the tour before Jordan Brown, he plays in my club. Raymond Fry, he’s number one in the country at the moment in the amateur game so I’ve got plenty of good practice about. People might look at it that I could travel and play other top professionals but it has never really been for me for the reasons that I have mentioned and I am happy enough working on things. 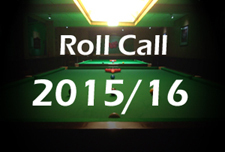 I know I am going to have plenty of games against Joe and Fergal and that will be enough to keep me going. PSB: And off the table, I know you like your golf, football…probably the less said the better about [Manchester] United the other day but what do you make to the signings? Big names but not necessarily for the right positions? MA: Yeah it was a strange transfer window really, lots of excitement in terms of goals with the likes of Di Maria and Falcao, but I think where United really needed to strengthen was in the defence. I know they have brought a few in like your man Rojo, Luke Shaw and Daley Blind, but I think Blind is more of a holding centre-midfielder rather than an out and out defender and I am not really 100% sure of Phil Jones at centre-back, I don’t really know how that will work, I don’t think he is quite strong enough for that position. I think whenever Rafael comes back and Shaw is going to play left-wing, I think it will be a bit stronger but as long as Jones is that main man in the centre I am never going to be sure that it is quite strong enough and United are getting found out a bit at the minute. PSB: And on the golf front you had that charity event for MacMillian Cancer Support, how did that go? MA: It was tough, I didn’t think it would be as hard as it was. 72 holes in on day, we teed off at 5am and finished at 9:50pm at night. It was pretty tough, we had a ten minute break after one round, 15 minutes after another round and the other two rounds we just had to continue straight to the first tee. It was tough but obviously we raised £7,300 and we were only really fund raising for three weeks so it was all for a great cause and for us to be able to do it just shows that it’s worth it. We had fun out there too, we had a couple of drinks on the course and had a good laugh. There were plenty of birdies made and it was good. I think I had nine birdies myself in the four rounds and my mate made 11 which was pretty good. PSB: And finally what are your other interests, obviously to pass the time on the planes to China and so on? MA: Plenty of DVDs and Big Bang Theory at the minute is probably my favourite and my old favourite 24. And then just loads of movies, I always watch the same movies that I have probably watched 50-100 times each. It’s just probably habit more than anything else. MA: I think if you ask my wife she would say that I am hardly ever at home! I practice hard, I have been practising flat out. If I am down in the morning and not playing anyone I always have a game arranged for the evening, if I am playing someone in the day I will always go and do a couple of hours on my own at night anyway so probably at the minute I am probably doing close to seven hours a day and I haven’t really done that since I was 16, 17. I feel like it is starting to pay off and hopefully it will pay off in one or two of the big events soon. Thanks to Mark for his time and best of luck to him tomorrow in the final of this week’s Shanghai Masters and for the rest of the season beyond.